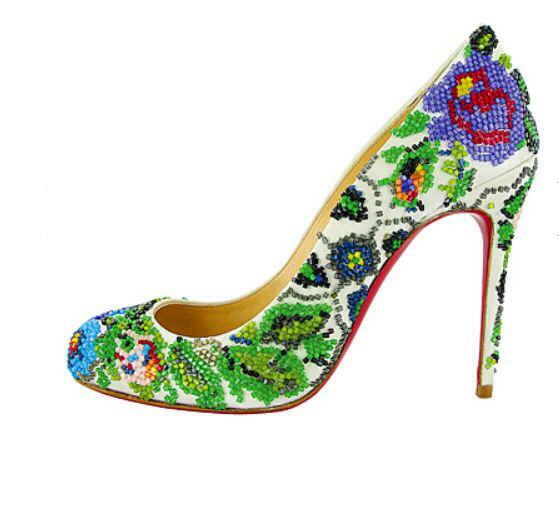 MYOFS: Louboutin got inspired by Ukrainian traditional shirt! I don't know a single girl who wouldn't know who Christian Louboutin is, so I'm gonna skip an introduction part. 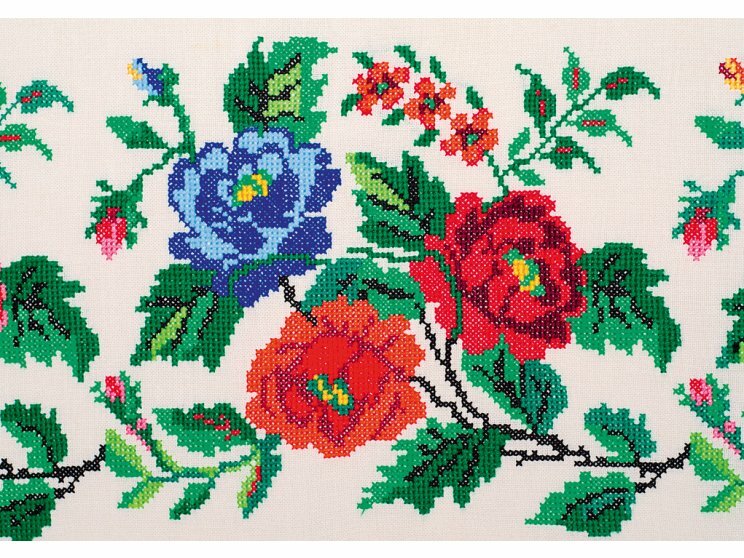 A while ago Louboutin received Ukrainian traditional shirt with embroidery as a gift. He was very delighted with it and promised that he is gonna make new shoes with the Ukrainian ornament. And he did. However, he called this model Sissi - in honor of the Austrian empress. Я еще не встречала ни одной девушки,которая бы не знала кто такой Christian Louboutin, поэтому, пожалуй пропущу вступительную часть. Недавно Christian Louboutin получил в подарок украинскую национальную рубашку. Louboutin был в восторге от такого подарка и сказал, что обязательно создаст туфли с украинским орнаментом. Что и произошло. Но назвал он эту модель туфлей Sissi, в честь Австрийской императрицы. Sissi will be released as a limited edition and will cost about 2,000 Euros. No wonder they are so expensive, each pair of shoes embroidered by hand, and that takes two days! Sissi выйдут лимитированной серией и будут стоить около 2 000 евро. Не странно, что эти туфли такие дорогие, ведь каждая пара расшивается вручную, и это занимает два дня. Kerry Washington already wore Christian Louboutin Sissi pumps to the 2013 Independent Spirit Awards. Let's see who will be the next! Kerry Washington уже одела эти туфли на 2013 Independent Spirit Awards. Давайте посмотрим кто же будет следующим! 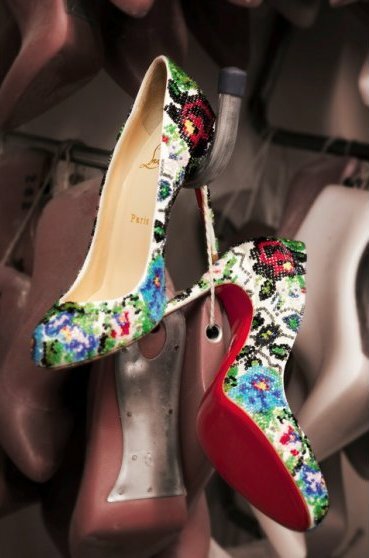 Thats such a beautiful shoe and love the fabric design! Have great weekend sweety! OMG ! I love them ! such a lovely post ! I love them! they're so beautiful but unfortunately so expensive lol! Great blog, I'm following you now, and thanks for visiting my blog! Ох, не дает покоя мне эта вышивка.. Роскошная пара!